TRACK REVIEW: Jackie Mendoza - "Mucho Más"
“Mucho Más” is taken from Jackie Mendoza‘s debut EP LuvHz due April 26 on Luminelle. 2019 is being the year of Jackie Mendoza. Her two previous singles “De Lejos” and “Seahorse”, both among the year’s best songs, showed two different sides of an artist who resisted being defined. Now, Mendoza is putting out her new single “Mucho Más” (“much/a lot more” in Spanish), which again sees her trading in uncharted territory. 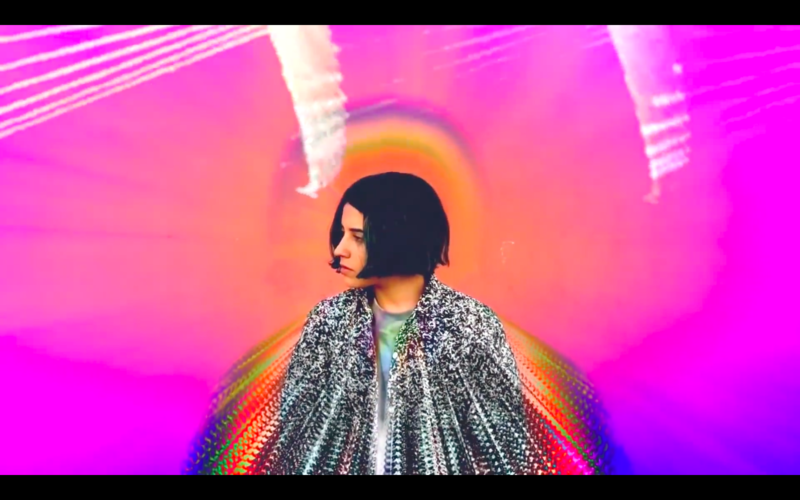 In what is probably her most experimental track to date, Jackie Mendoza keeps fascinating us with her blend of outlandish electronic sounds and commonplace pop elements. Some of the beeps and synth tones in “Mucho Más” seem to belong to some of the most “out there” Arca tracks, yet Mendoza does not shy away from straightforwardness. Maintaining an alluring balance between odd minimalism and palatable directness, Mendoza also applies this method to her evasive lyrics, which in this occasion seem to have been written by using a cut-up technique. While she is a pop artist at her core, she voluntarily relinquishes all semblances of melody in favour of pure rhythm. At one point in the song, a basic reggaeton beat pops up and then disappears only to come up again at the end. The opening track to her upcoming EP LuvHZ, “Mucho Más” is her most danceable song to date, and perhaps her most immediately rewarding as well. Watch the Glitchybb-directed video below.